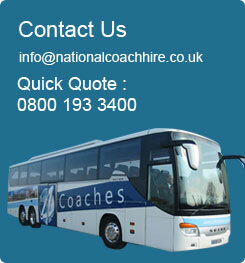 Welcome to our website, National Coach Hire offer managed transport solutions and services for any organisation and individual, from a one off hire of a small 4 seater chauffeured vehicle to 100+ coaches for corporate events and everything in-between. We have a great pedigree when it comes to managing transport for large corporate events having worked for some of the largest and influential companies here in the UK and overseas, we can provide managed ground transportation services with 24hr contact throughout the whole process, one of our account managers will be assigned to your particular project to ensure ease and continuity. Long and short term contracts are amongst our specialities, having run contracts for many companies that are household names we feel we are extremely well qualified to undertake almost any aspect of work that involves continuous day to day movements. We pride ourselves on attention to detail, having the right options available to you at any given time and a competitive pricing structure, your requirements will always be to get passengers from A to B, how that happens is where our skills and knowledge come into play. Contact us now by either calling our free phone number or fill out our online quotation form and we will get back to you.